Woke up today and my machine won't boot. The bios posts and I'm able to enter the bios but I never get to grub. This machine has only ever had Ubuntu on it., currently 18.04. The drive has 3 partitions, EFI, boot and LVM encrypted. With a liveusb I can access all partitions. When I try to boot I get a cross between an odd screen with blue squares and another screen telling me that I need to insert bootable media, more often the blue squares. I can access the bios but when I enter the section for choosing which partition to boot from I'm told "Drive not present", which seems odd because it clearly detects it's presents. 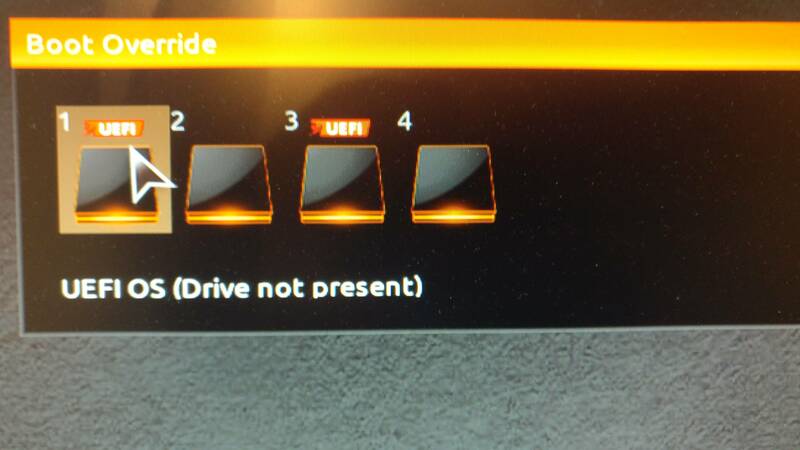 There is a second drive but this has never contained an OS and is used purely as a data store. Pictures here, here and here. 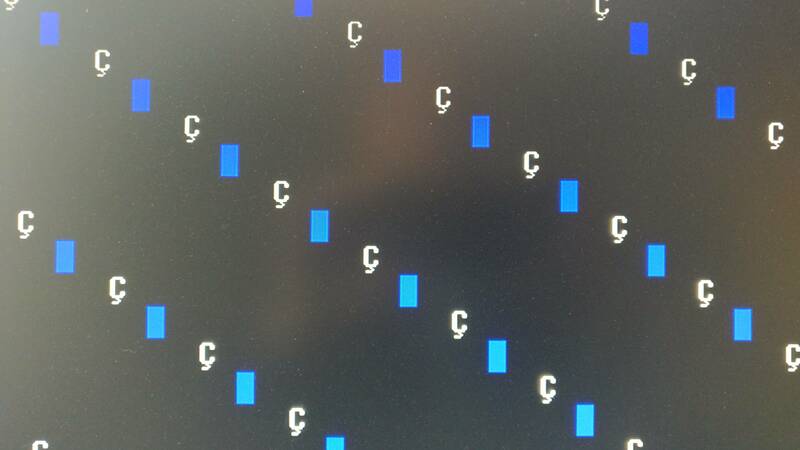 I have used 18.04 live and have reinstalled grub using chroot. All went as planned with no errors but my situation hasn't changed. I've been at this for hours now and am not getting anywhere, any help / advice would be very much appreciated. /dev/sda1: UUID="E96D-D680" TYPE="vfat" PARTLABEL="EFI System Partition" PARTUUID="b8bd42f2-1cc4-4504-8370-9f0af59b5329"
/dev/sdb2: LABEL="Storage" UUID="7e44a15f-1e35-4f2f-bca2-0cb32bba35b4" TYPE="ext4" PARTLABEL="store" PARTUUID="50694b3c-af8c-4863-98e4-7ab8e4791016"
/dev/sdb3: UUID="4d0dfe92-c700-4db7-ba1d-9e69c350c13b" TYPE="ext4" PARTLABEL="SG10-backup" PARTUUID="fc35cad4-c01c-44d6-8c8e-99c8c21a7c54"
/dev/sdc2: SEC_TYPE="msdos" UUID="0D5F-1DB6" TYPE="vfat" PARTUUID="663eb4c4-02"
/dev/sdc1: UUID="2018-07-25-03-21-56-00" LABEL="Ubuntu 18.04.1 LTS amd64" TYPE="iso9660" PTUUID="663eb4c4" PTTYPE="dos" PARTUUID="663eb4c4-01"
Hi, could you post the output of these please. I'm running from usb, do you want me to chroot before df -h? No need to chroot yet, just gathering info. Thanks for getting back. I'm unsure what result you want for df -h, surely is will show the usb's filesystem? Last edited by dik232; 1 Week Ago at 09:41 AM. Posting the summary for the boot info (link in my signature) will hopefully give us all the information we need to help you. "No boot loader is installed in the MBR of /dev/sda" !!! If you have a desktop PC, not laptop, this is what I would do. If all goes well, you should be able to boot normally and can then encrypt the data partition again. If you run into any issues, please do not hesitate to ask first before you go on. 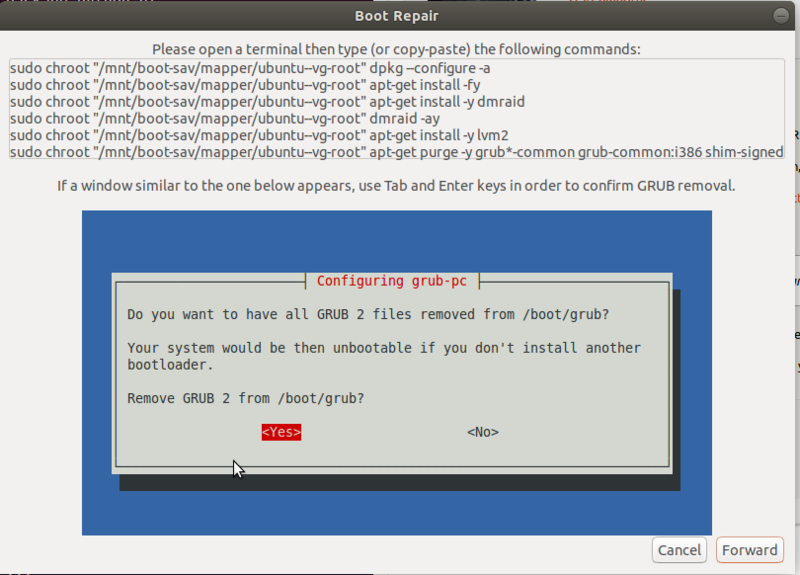 Unable to agree to the dialogue asking me to remove grub. All tab does it highlight the sudo chroot text in the top of the window. All I can do is choose forward where I'm told "GRUB is still present. Please try again." 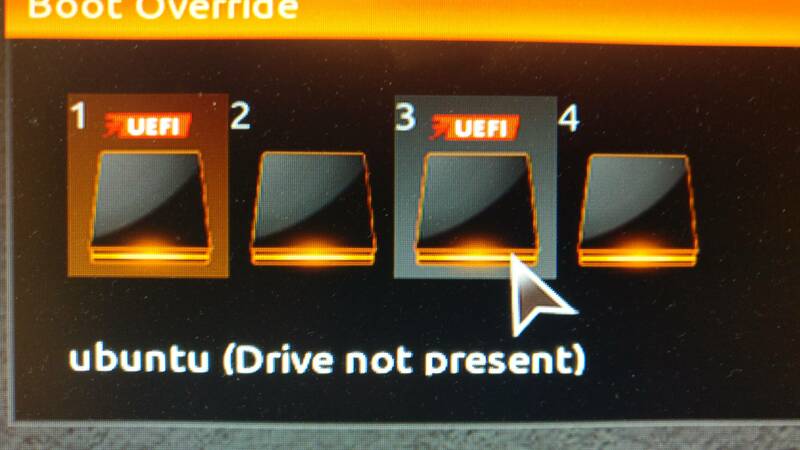 Also there's no option in my BIOS to specify a .efi file. I've owned this machine for 3yrs now and have never specified one before.